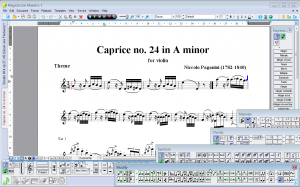 NEW MagicScore Maestro 7 Music Notation Software with NEW MagicScore Music Engine V ! MagicScore Maestro – music notation software, offering the most advanced capabilities for working with music. It lets you precisely tune up the notes’ sounds and their timing features, process the effects and the dynamics. 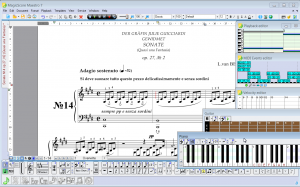 In this program, you may use both general and extended sets of musical symbols and as well create your own symbols, terms and chords for complex compositions with a peculiar or a non-standard grammatical solution. 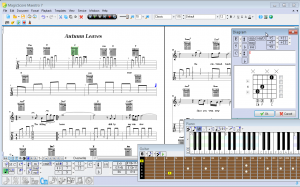 MagicScore Maestro provides all tools for music making. 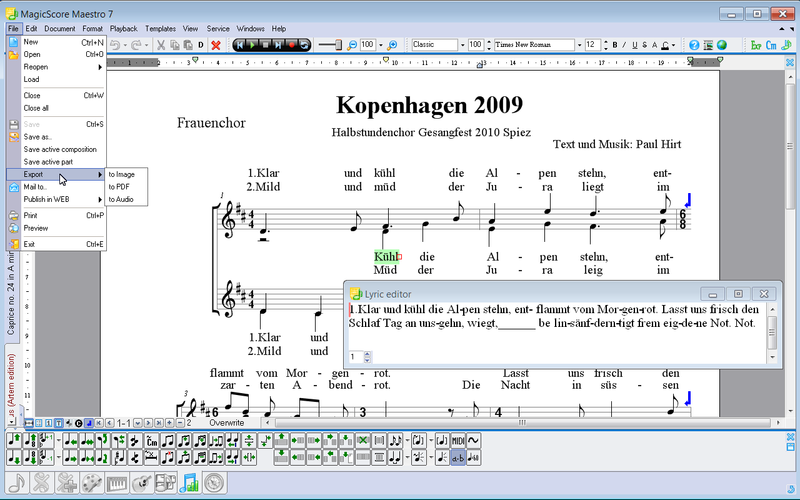 Selection of additional styles for displaying notes. 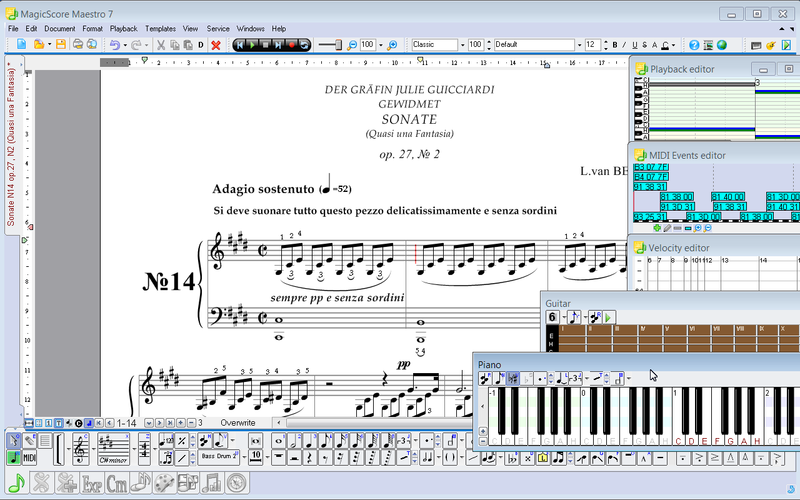 What’s new in MagicScore Maestro 7 software for music creation?! 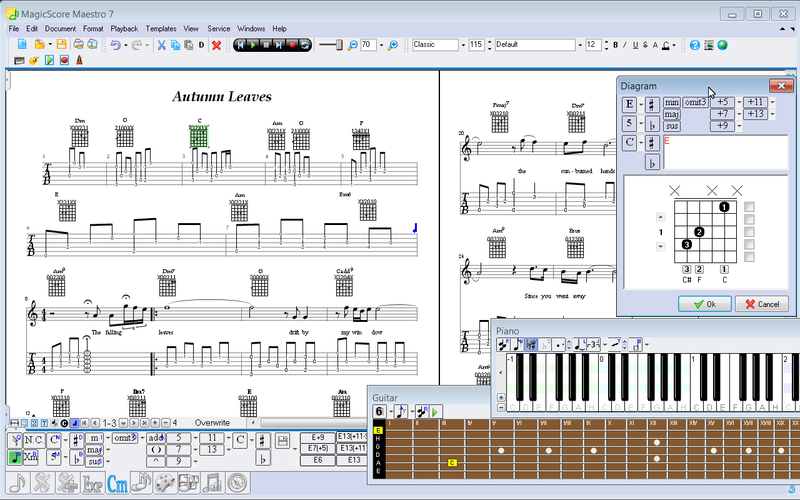 New MagicScore Music Engine V.
Sound fonts sf2 usage is implemented . 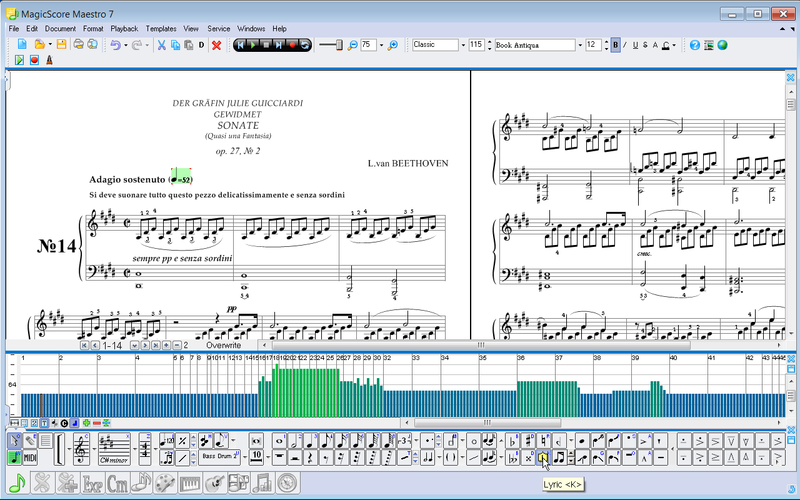 High quality fast Score to Audio converter (wav and mp3 32-320) added. Now you can add a drum note from Drums map list. Jazz Swing as a special playback feature added. 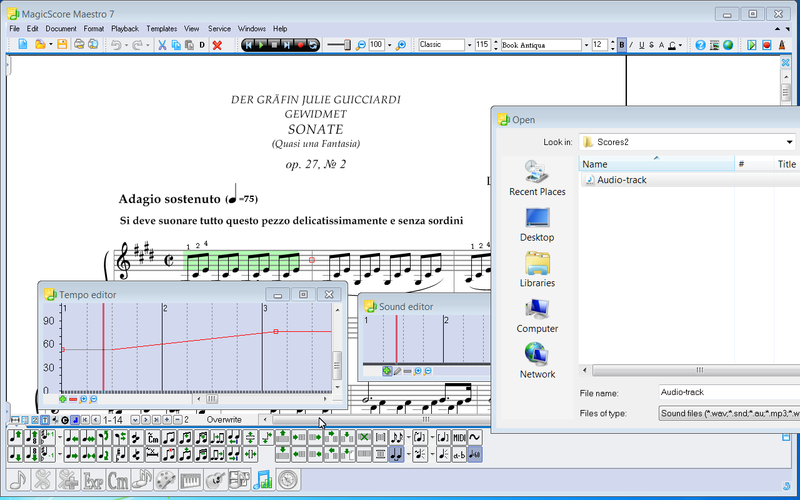 Now You can set the horizontal and vertical position of symbols relative to the notes. Auto-calculation of measures’ duration to its notes, when the Time Signature of a composition is not set, was added. Voice placement in 2 staves was added. Formation of notes was changed. 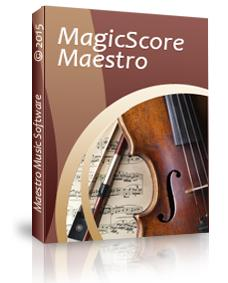 Now MagicScore Maestro 7 provides a new level of music score quality. Time Signature placement in the middle and the end of a measure was added. 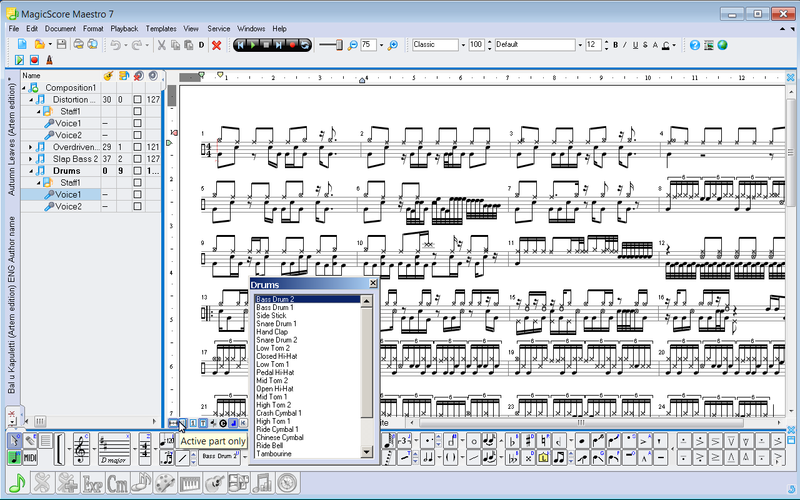 Empty staves auto-hide option for the MIDI file import function was added. A tremolo width and rotation changing option was added. Notes beam movement was added. Using external fonts was added. 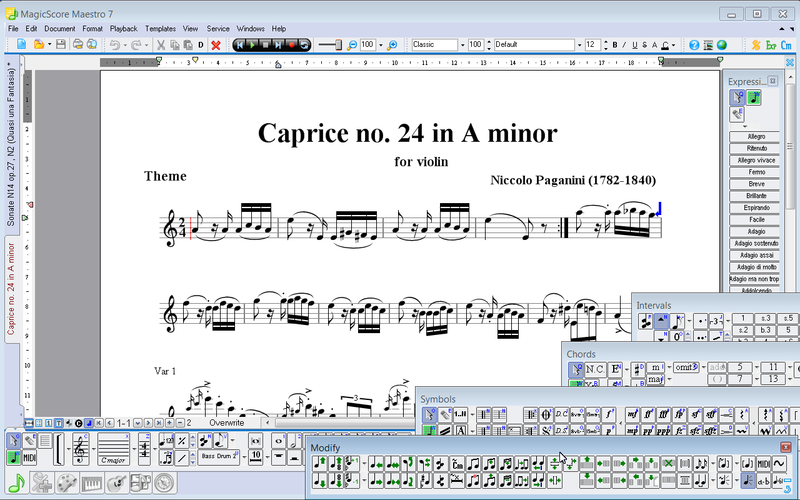 Now you can use MagicScore Maestro 6 with any music font you want, for example, from your old music notation software or from third-party companies. Beam number of notes management was added. Tools panels’ rotation to the vertical position was added. Split point on recording for two hands was added. 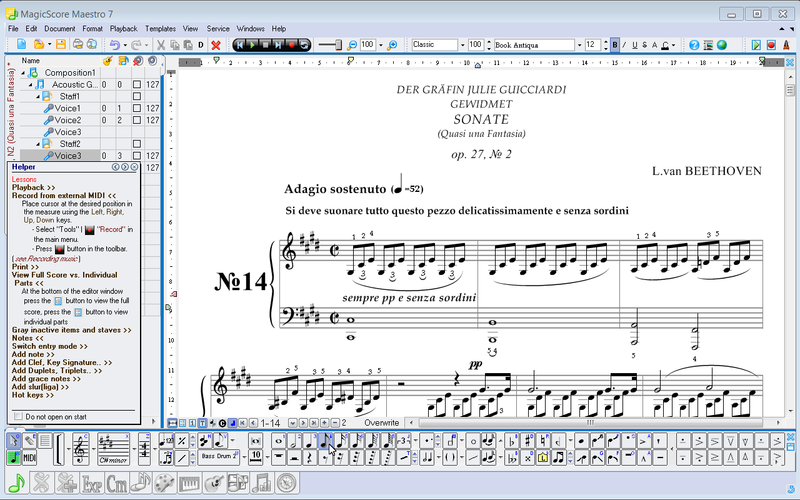 Using the Key Signature of the composition in Grace notes was added. 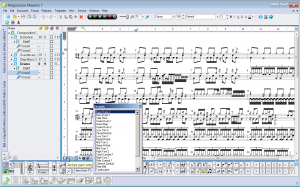 Offset properties for Key Signature, Clef, etc. was added. Attachment of graphical elements (lines, rectangles, pictures, etc.) to the staff position was added. 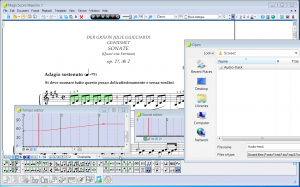 With MagicScore Maestro music notation software you can create magnificent compositions; that will give you the opportunity to have your work done in the best possible manner. Having tried the free trial version of our program, you will be able to see how well MagicScore suits your needs, and of what use it will be to you.